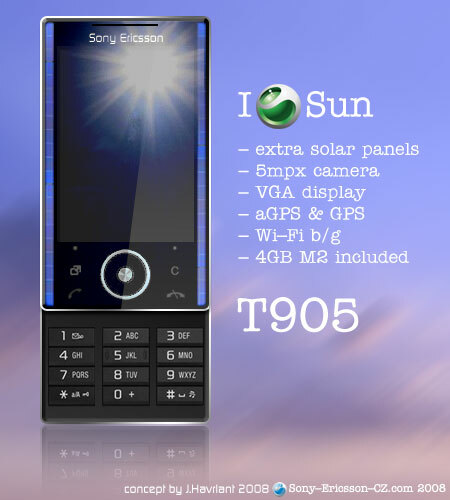 The Sony Ericsson T905 concept phone comes with extra solar panels as you can see, but those may be there for bling or for environmentally friendly recharging. Either way, J. Havrlant’s design is neat and the specs are pretty good as well. T905 comes with a 5 megapixel camera, a VGA display, aGPS and GPS, Wi-Fi b/g and 4GB M2 included.